The Law Office of James D. Fife, located in Arlington, Virginia, provides legal representation in the areas of estate planning and estate administration, primarily serving individuals who reside in Arlington County, the Cities of Alexandria and Falls Church, Fairfax County and the surrounding areas. Mr. Fife has substantial experience in addressing the needs of clients in a wide variety of estate planning and estate administration matters. Estate planning services of the firm include provision of advice to assist clients in developing comprehensive estate plans and preparation of the documents required to implement those plans. Contact the firm today to schedule an initial consultation to discuss your estate planning needs. A durable power of attorney document is an important component of a comprehensive estate plan. A power of attorney authorizes one person (the agent) to take specified actions on behalf of another person (the principal). For most estate planning clients, the primary purpose of a power of attorney is to create an arrangement that will provide for effective management and handling of the client’s assets and financial affairs if he or she becomes incapacitated. When a person becomes incapacitated, it will usually be necessary to establish a conservatorship to manage that person’s assets, unless he or she created an alternative mechanism, such as a power of attorney, before becoming incapacitated. A conservatorship is a legal arrangement that is created when a court appoints a conservator to manage the property and financial affairs of an incapacitated person (the ward). It is advisable for individuals engaged in the estate planning process to execute powers of attorney because these instruments help individuals avoid undesirable consequences associated with conservatorships, which include significant expense and burdensome administrative requirements. The creation and administration of a conservatorship frequently results in the incurrence of such expenses as attorney fees, conservator fees and fees paid to guardians ad litem (attorneys appointed by the Court to act in the best interests of incapacitated persons and prepare reports for the Court). In addition, the administration of a conservatorship can be difficult and time consuming because a conservator is subject to continuing judicial supervision, requiring the conservator to obtain court approval before engaging in certain transactions on behalf of the ward. The Virginia General Assembly recently enacted legislation that incorporates a new act (the Virginia Uniform Power of Attorney Act) that will govern powers of attorney effective as of July 1, 2010. Under the new law, a power of attorney will be durable (i.e., will not terminate upon the principal’s incapacity) unless it contains a provision indicating otherwise. The new law contains a few mandatory rules listing certain duties that an agent under a power of attorney will always be obligated to perform. The law also includes default rules that specify other duties that will be imposed on an agent under a power of attorney unless the document contains language that modifies those duties. Powers of attorney are flexible instruments that may be tailored to serve the particular needs of individual clients. A power of attorney that is properly drafted defines the powers and obligations of the agent in a manner that will facilitate accomplishment of the client’s specific objectives. 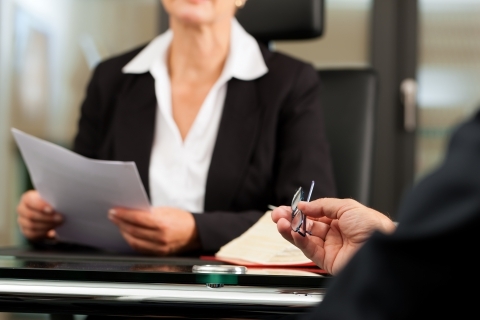 Powers of attorney generally address a number of issues, including the range and extent of the agent’s powers and the scope of the agent’s duties. Alternative approaches that may used in addressing those issues are available. Careful consideration of the available alternatives will assist the client and the attorney in the process of selecting the most suitable approaches. Should the power of attorney become effective when the principal signs the document or on the occurrence of a specified event in the future, such as the principal’s incapacity? Who are the individual (or individuals) that the principal should appoint to serve as agent (or as agent and successor agent)? Should the person consider naming two individuals who will serve as co-agents? In addition, an individual should decide whether the power of attorney will grant his or her agent the power to appoint a successor agent. Granting the agent the power to name a successor agent will be advisable in most cases. A power of attorney document that does not include such a power will be rendered ineffective if the principal becomes incapacitated and the agents named in the power of attorney are unable or unwilling to continue serving. The power to make or change beneficiary designations. As an experienced Virginia estate planning lawyer, James D. Fife can help individuals make decisions about the issues that should be considered in designing and drafting powers of attorney. Contact Mr. Fife today to schedule an initial consultation.